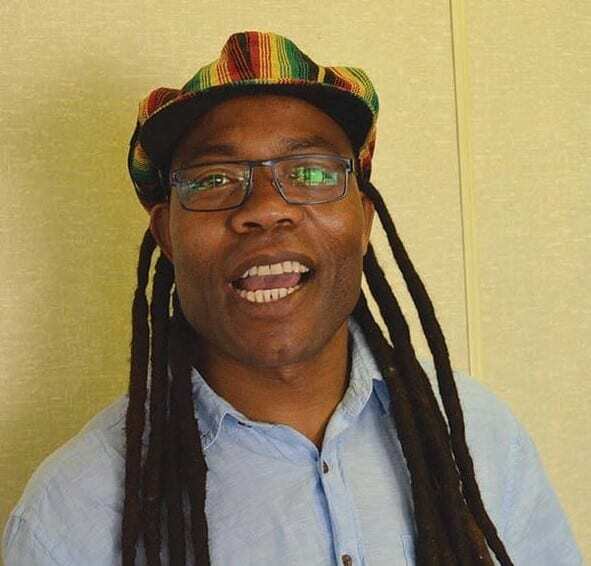 The old cliché, “a prophet has no honour in his village” describes Zimbabwean culture icon Manlukerz who for two decades has been promoting Zimbabwean culture in Europe. The name Manlukerz will likely turn heads up for culture fanatics in Sweden which the place where Makandire Luckson Chikutu has called home in the past twenty years. However, it was not easy for the then freshly shaved young man when he relocated to Sweden in 1998. “When l relocated, it was not easy for me because of the language but l managed to fight hard to come in to the Swedish community. This because English in not their priority language. It was difficult. I had to thank my mother and father who contributed immensely with their words of wisdom and encouragement,” he said. While he was in Sweden, his place of birth remains close to his heart. “I like Zimbabwe more than anything else. I feel proud of my country. It defines whom I am,” he said. Manlukerz acknowledges that though he had a slow start in Sweden, his best decade was from 2007 to 2017. “The decade 2007-2017 will not be forgotten. I was on top of my game in Zimbabwe, Sweden, Europe and United States. I can say l managed to give and share my managed to grow my music by collaborating with my mother Madhinga Jesina, Andy Brown, Mbira Dzenharira and Tapiwa Maselo,” he said. a Cultural Coordinator, Inter-Music Producer, Marketing Consultant, Artistic Director, Inter-Music Promoter, Inter-Artistic Advisory, Youths Coaching, Concept Development Event Management, Actor, Story Teller, Tourism and Cultural Author. The singer who is celebrating 18 years in marriage is also the author of a cultural book called Flashback Identity. “I managed to achieve my goals through focusing, determination, discipline and dedication. It is very important to plan in whatever you intend to do in life,” is Manluckerz’ advice to upcoming musicians. He also reiterated the need for government to prioritize arts and culture. Zimbabwe should put a budget for culture if the government is serious about promoting our tourism in other countries. Culture should have a budget. I created ZIMFEBI to promote Zimbabwe culture and tourism but when I got involved in an accident, the idea fizzled with me,” he said. Chikutu is the man behind the annual Zimbabwe Music Festival Bira (ZIMFEB) was involved an accident that claimed two lives in 2015. He was in Zimbabwe for the festival. Zimfeb was formed in April 2007. “The festival’s objective is to bring people together through celebrating cultures from different parts of the world. We also aim to promote awareness through music,” he said. “I can say l was born to spread my own culture in other countries that really don’t get enough information about Zimbabwean culture. And I will continue the path I chose,” he said.